Stop. LOOK at these prices!! 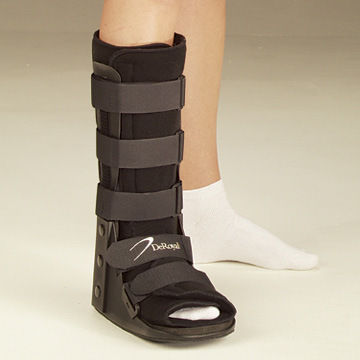 Available in sizes XS-XL Available in standard and low top options Lightweight with a wide foot plate Perfect option for those who do not need a pneumatic walking boot, priced very competitivelyPre-Fab orthotics from Redi-thotics for $11.95 (we bet you are spending $17 on an apples to apples product. )Collagen Powder from MPM Medical for $7/gram Last but NEVER least, Talar’s very own Nail Kit available through Medline, designed just for YOU! 1 – 1 oz. MEDLINE SKINTEGRITYY Hydrogel (with a needle nose tip that fits perfectly along the nail groves) 1 – 7.1 oz. 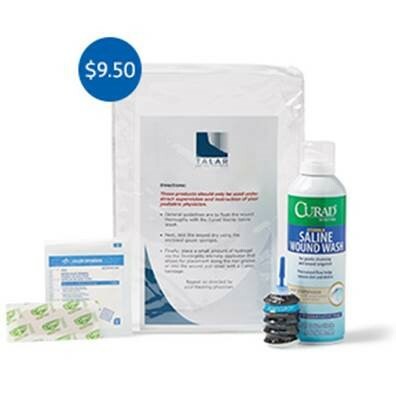 CURAD Sterile Saline Solution 30 – 2” x 2” MEDLINE 8-ply Woven Gauze Sponges 30 – 1” x 3” CURAD Fabric Latex-Free Bandages ALL for just $9.50 and packaged to take home. These are some deals we KNOW you should be taking advantage of but send us a list of what you are currently purchasing and we will TALAR MAKE a comparison to show you even MORE ways SAVE!